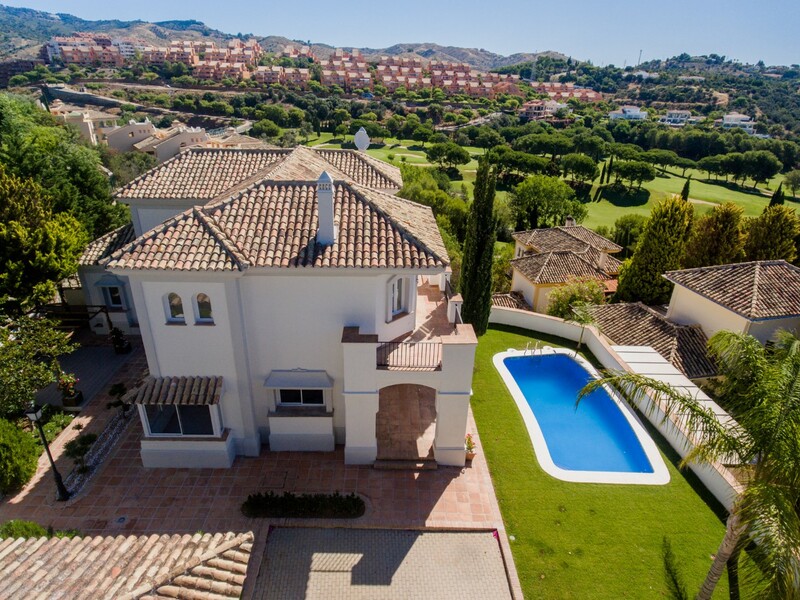 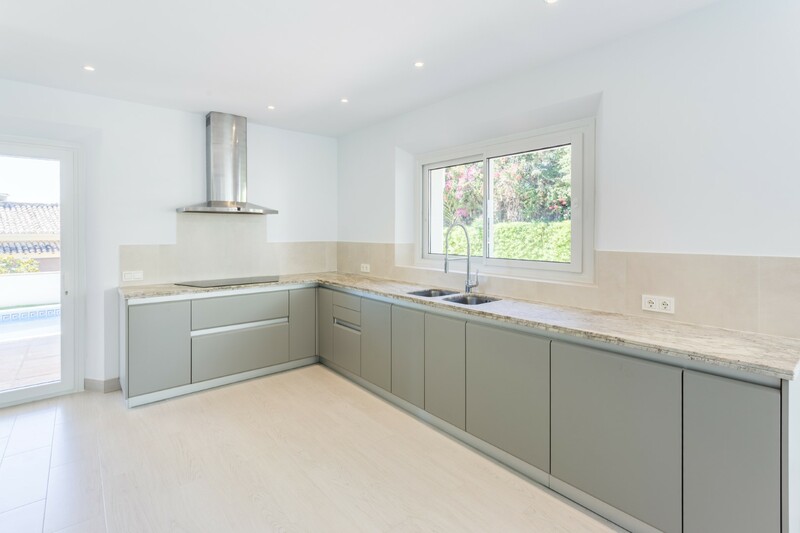 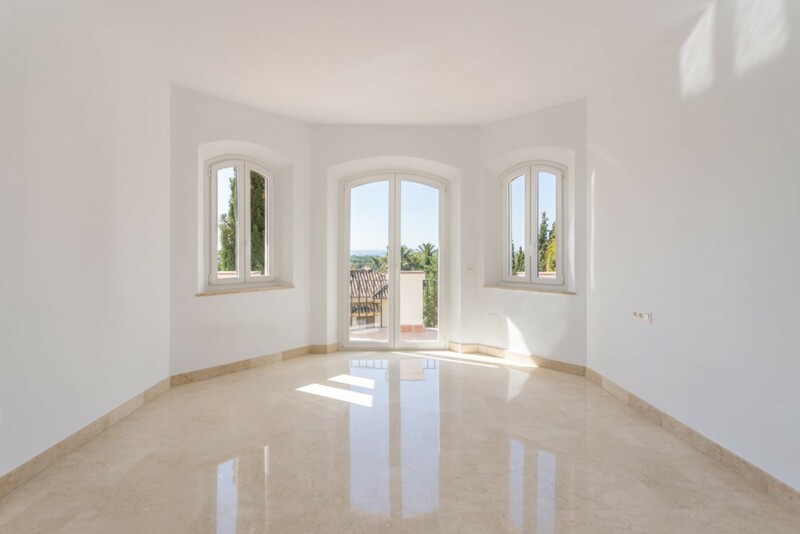 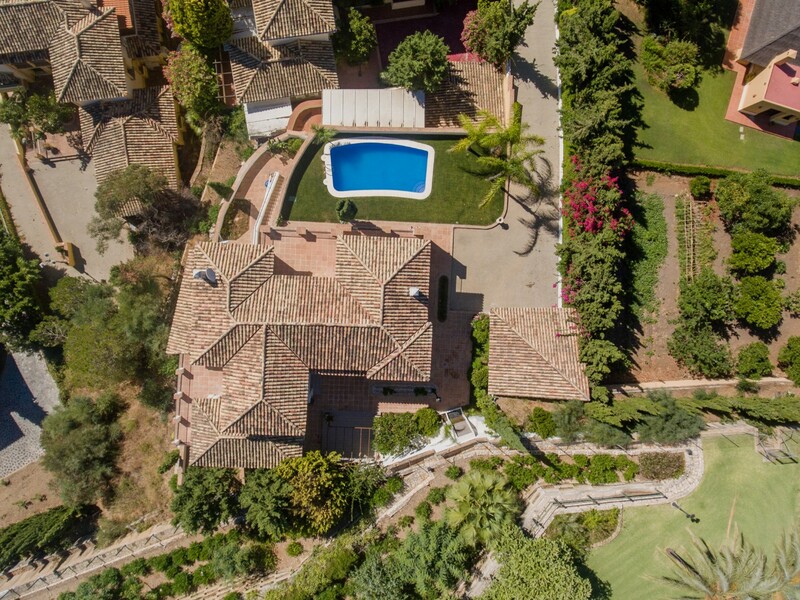 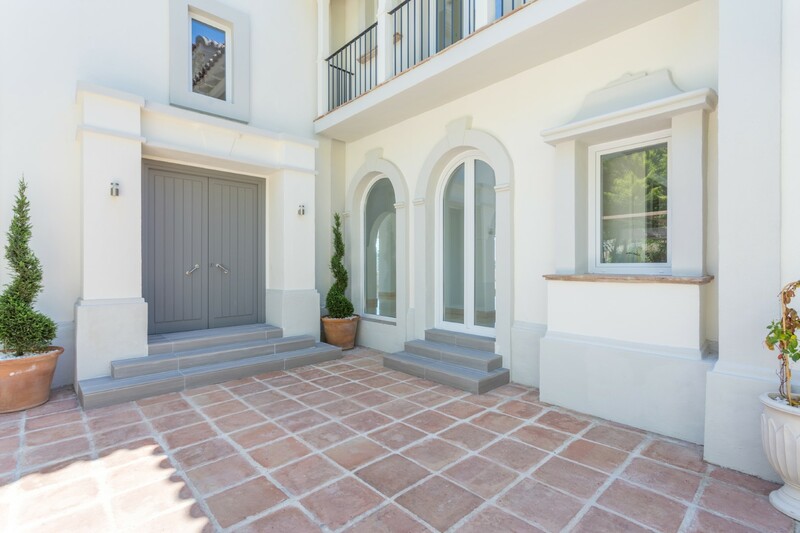 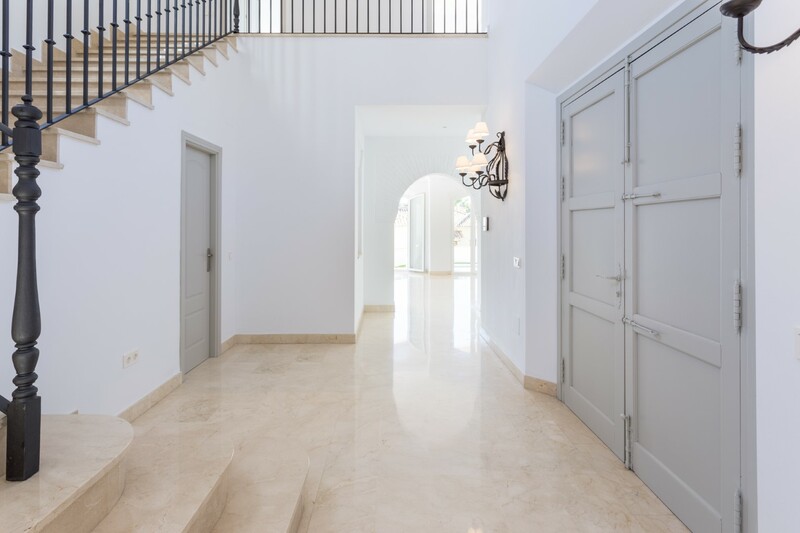 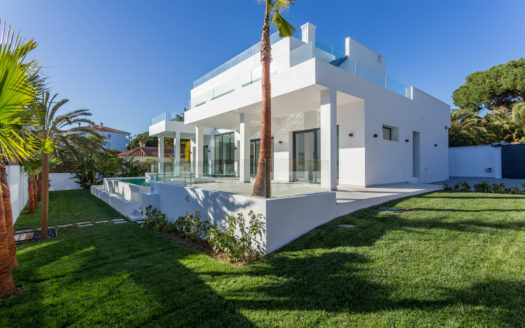 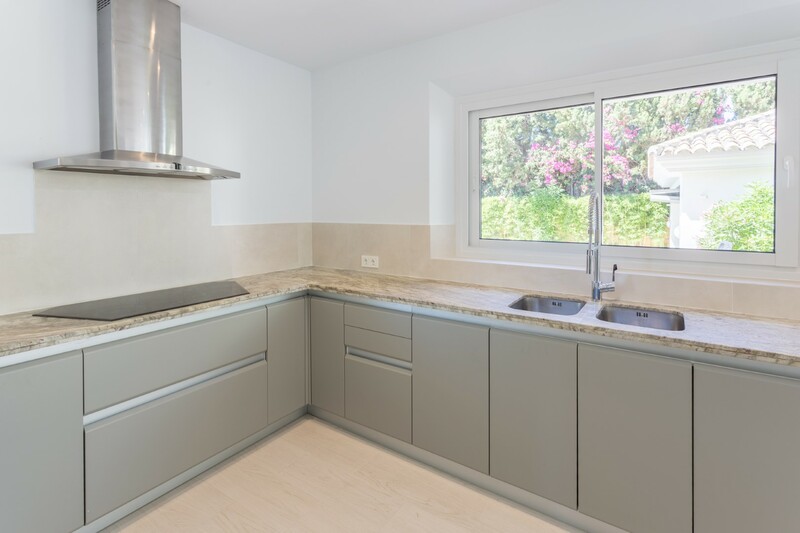 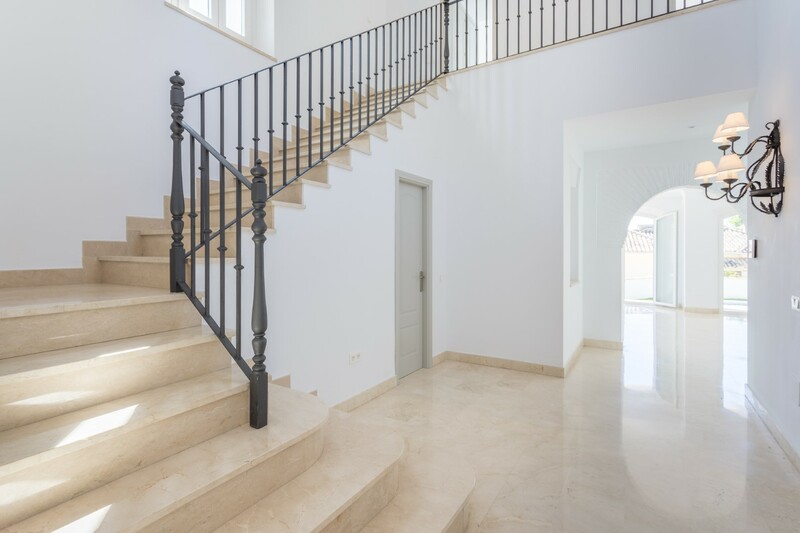 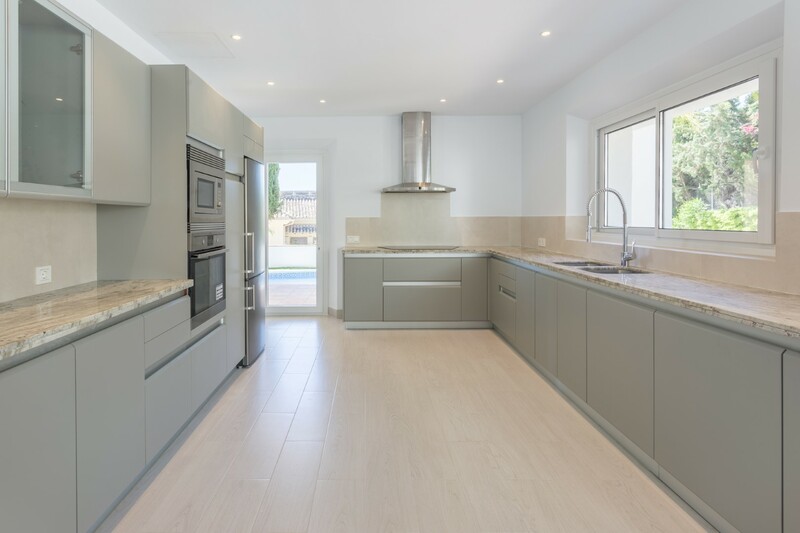 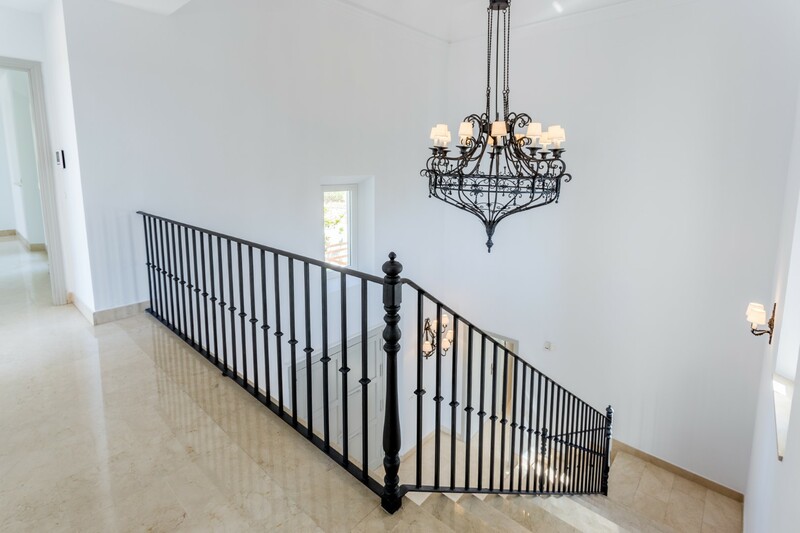 Magnificent Mediterranean-style villa built in 2002 and completely refurbished, situated in Santa Maria Golf, south-east facing and has amazing sea views and overlooks the golf course. 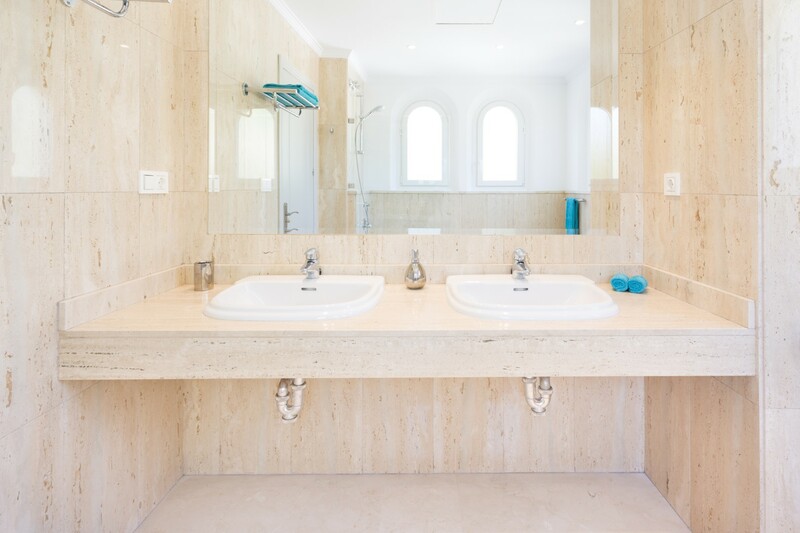 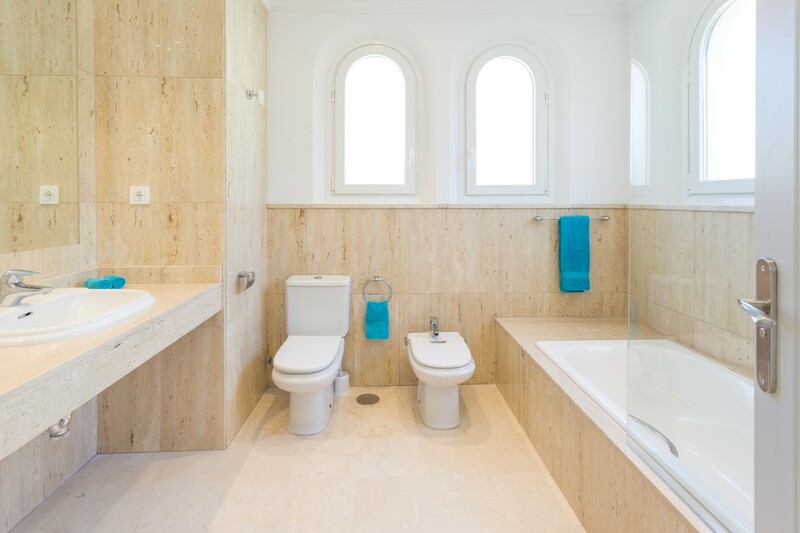 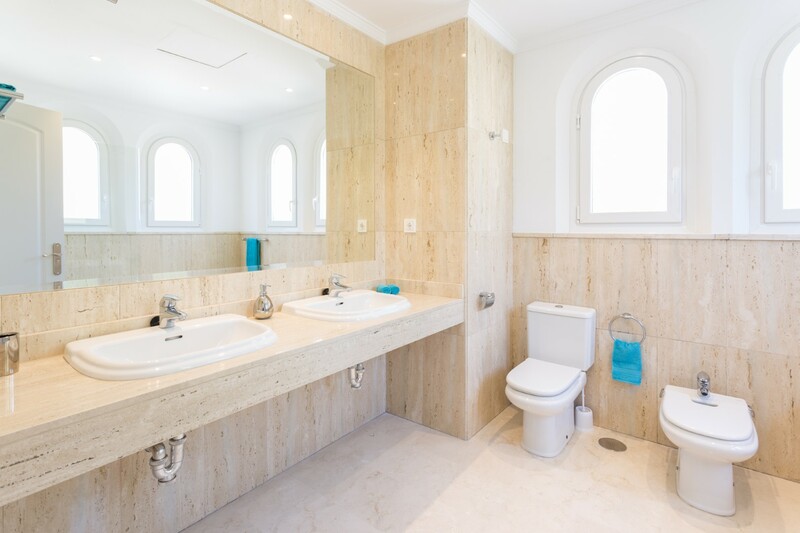 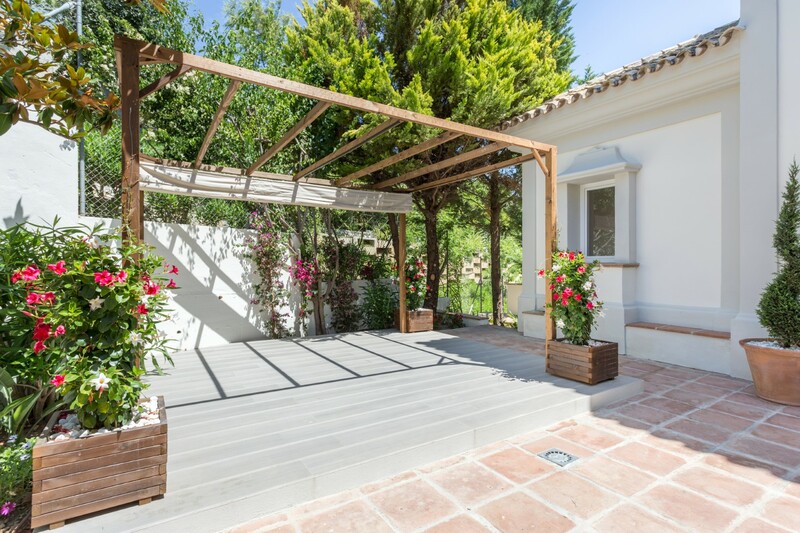 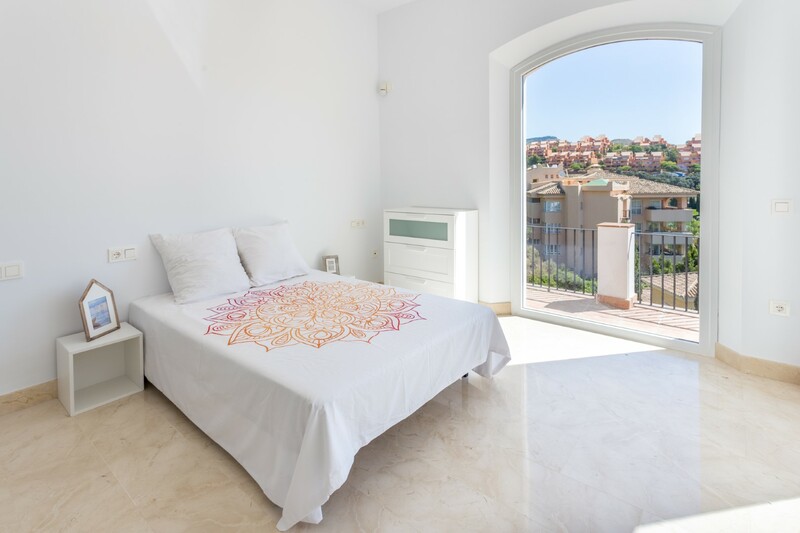 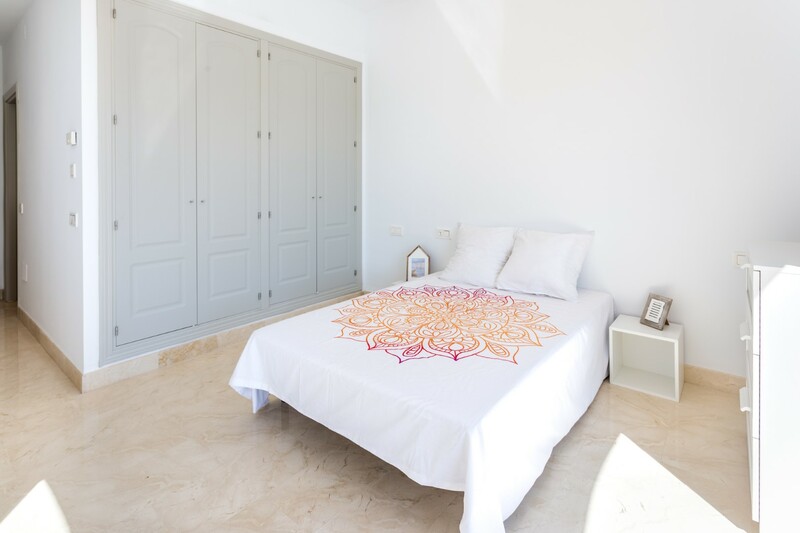 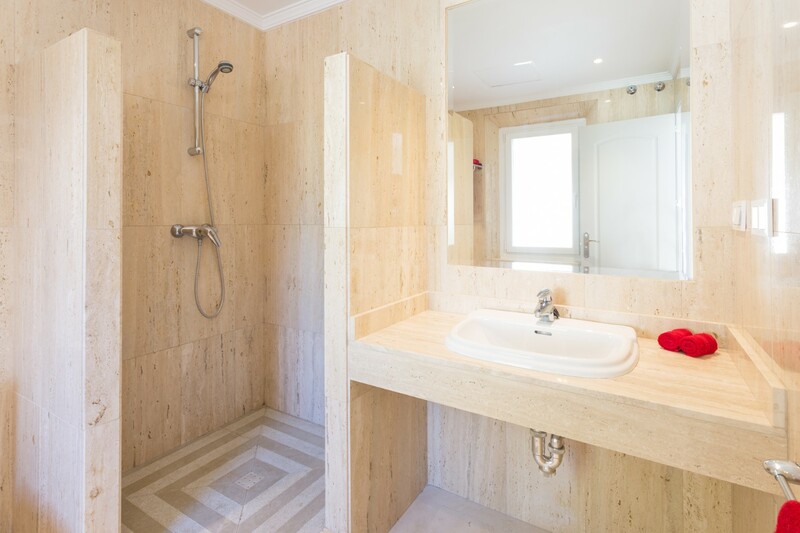 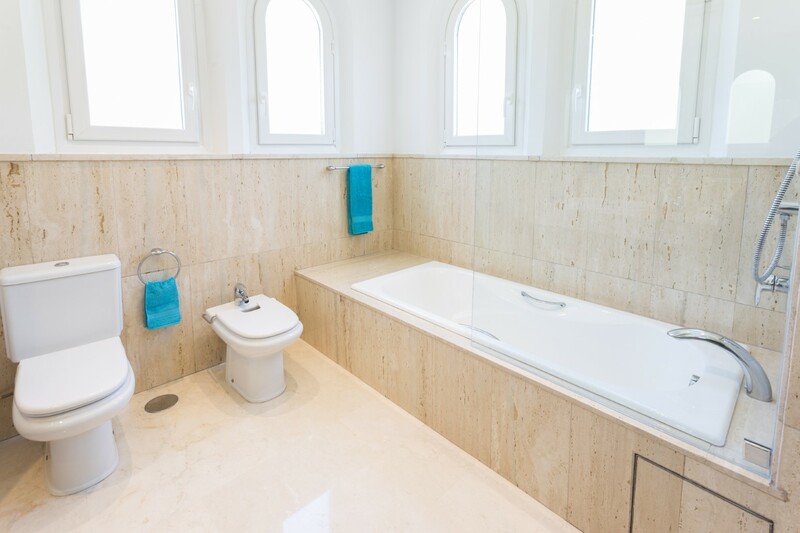 The villa has four large bedrooms with en-suite bathrooms plus a guest toilet. 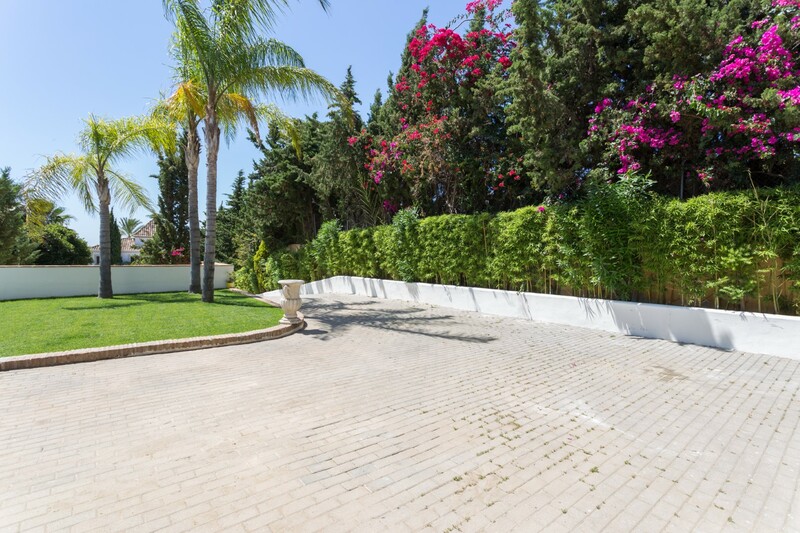 The property has a spacious living room with fireplace and large French windows which lead into the garden and pool area. 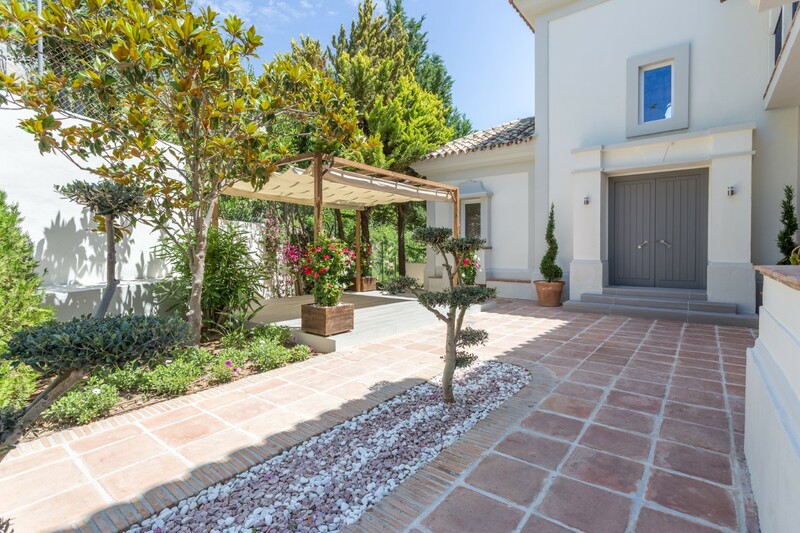 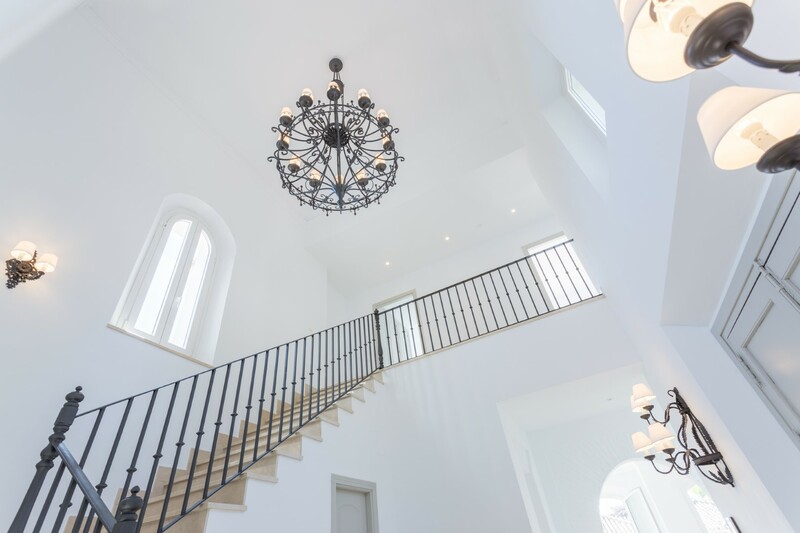 An elegant front entrance to the house leads to a large covered garage for two cars and a parking area. 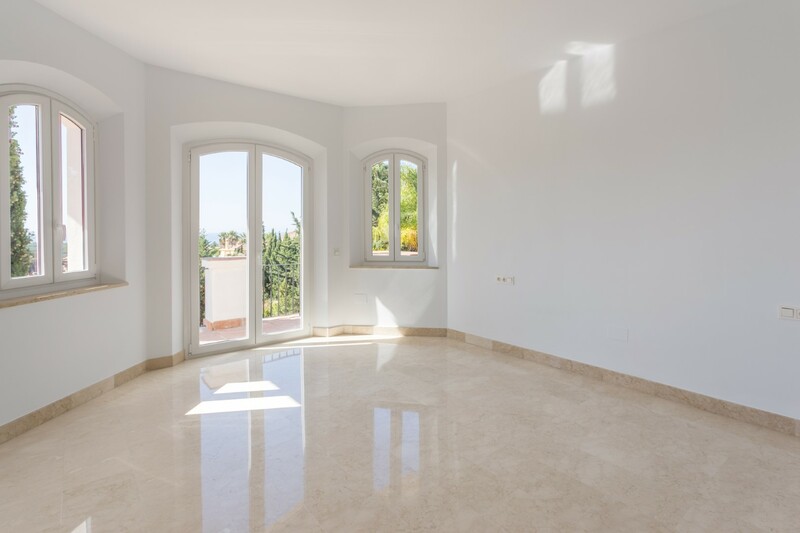 The property is very bright and airy and gives off a very positive energy. 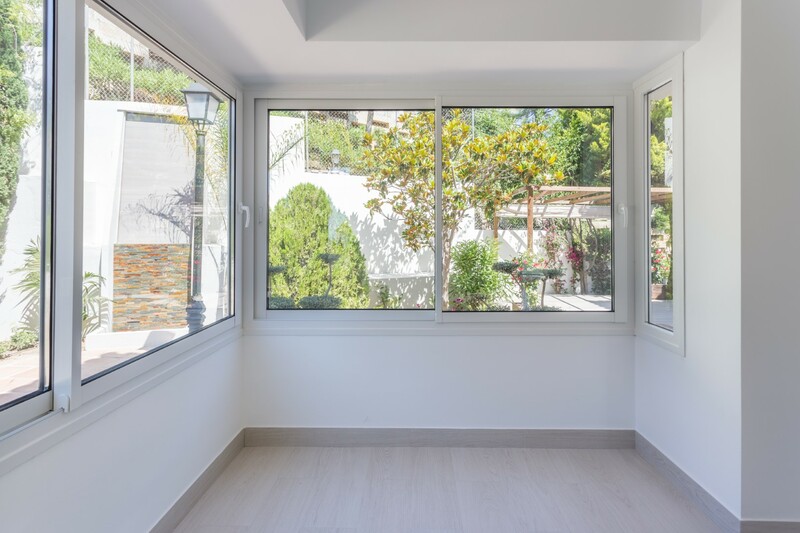 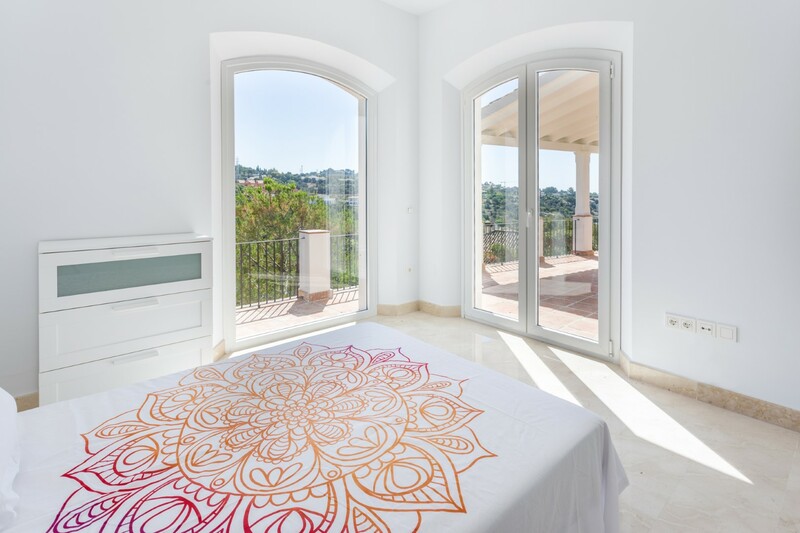 The house has access to the terrace area from the different bedrooms, all of which are very bright and have fantastic views. 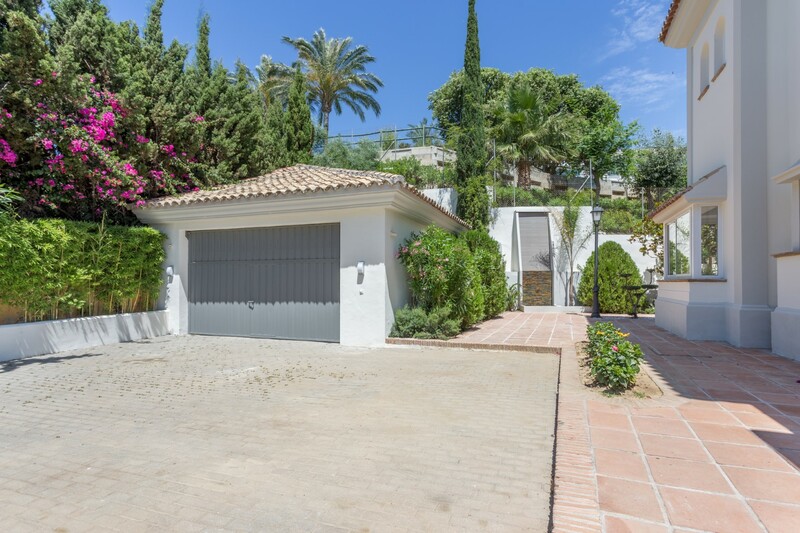 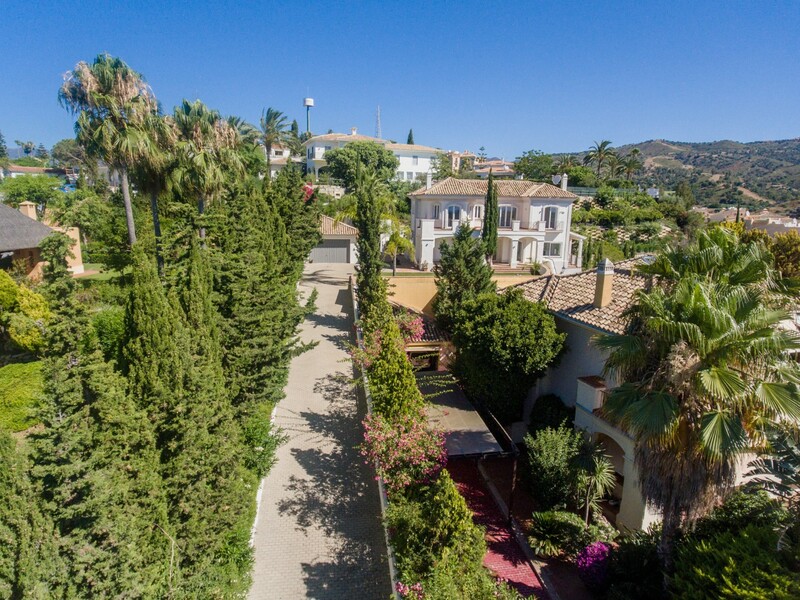 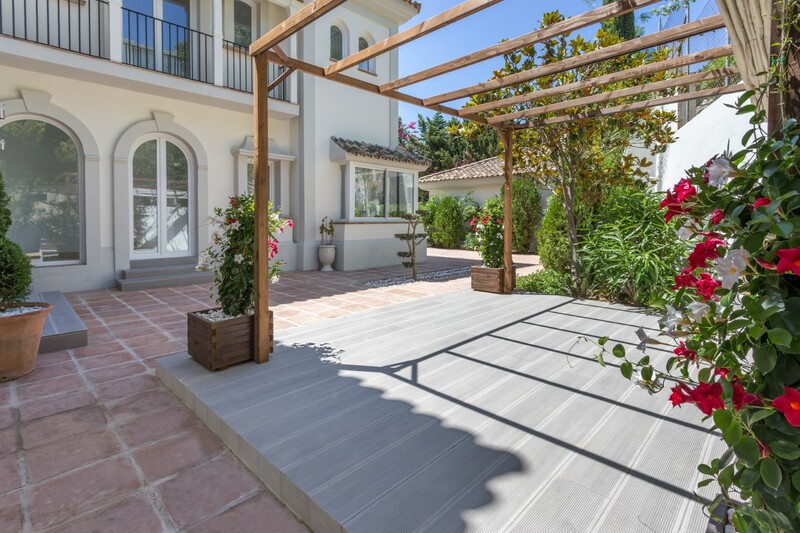 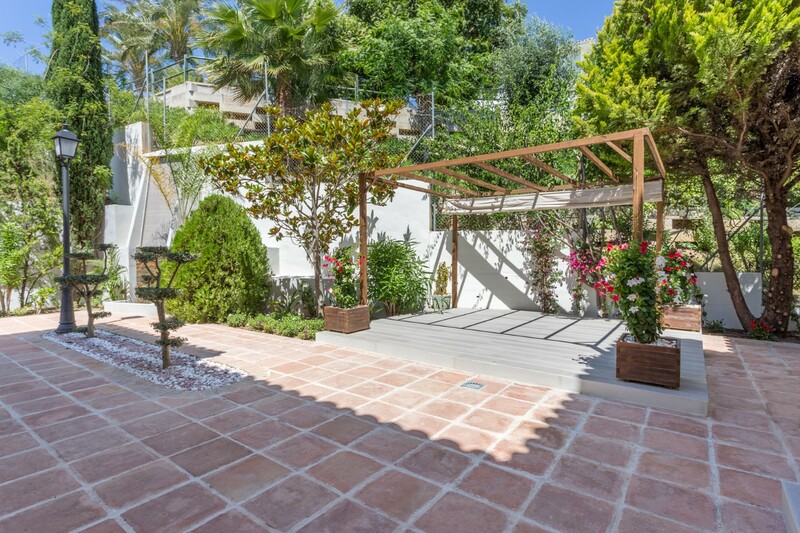 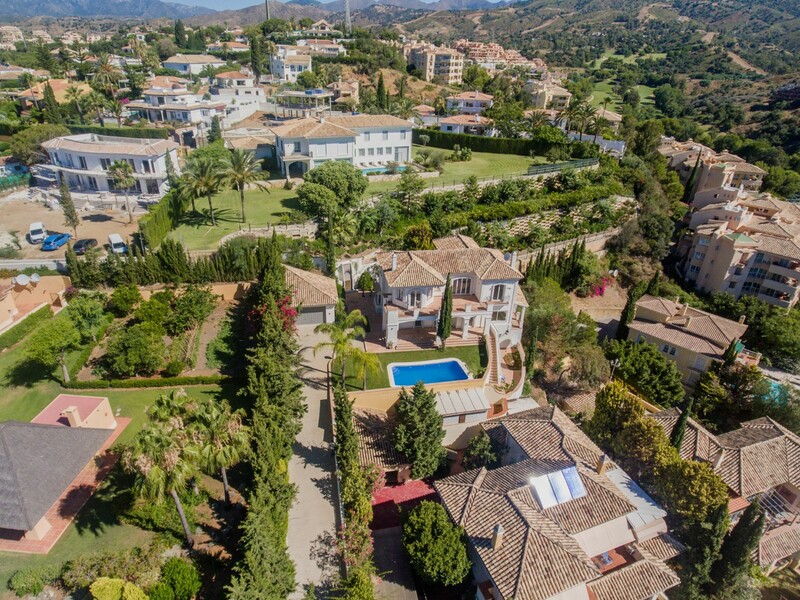 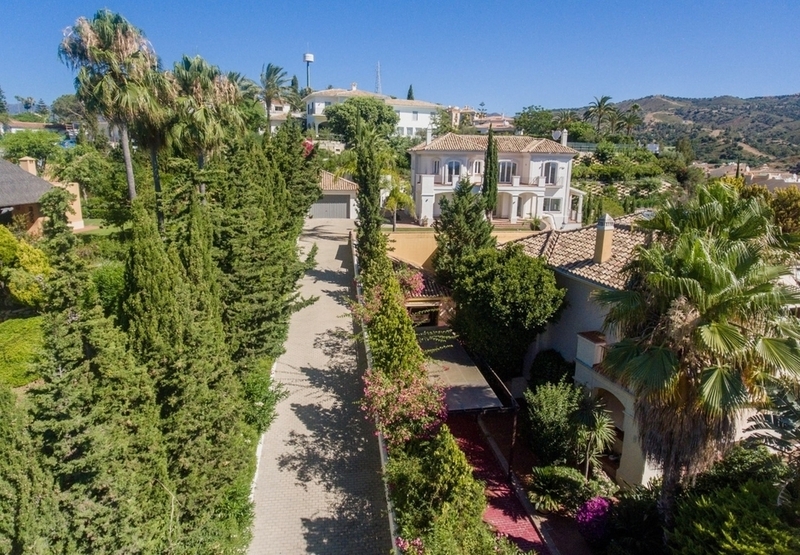 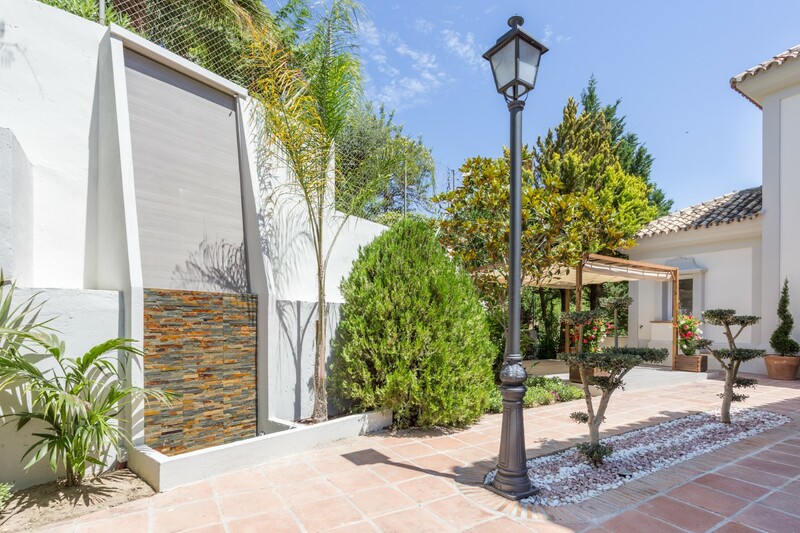 Elviria is a popular residential community located in the eastern part of Marbella, about 15 minutes drive to Marbella city. 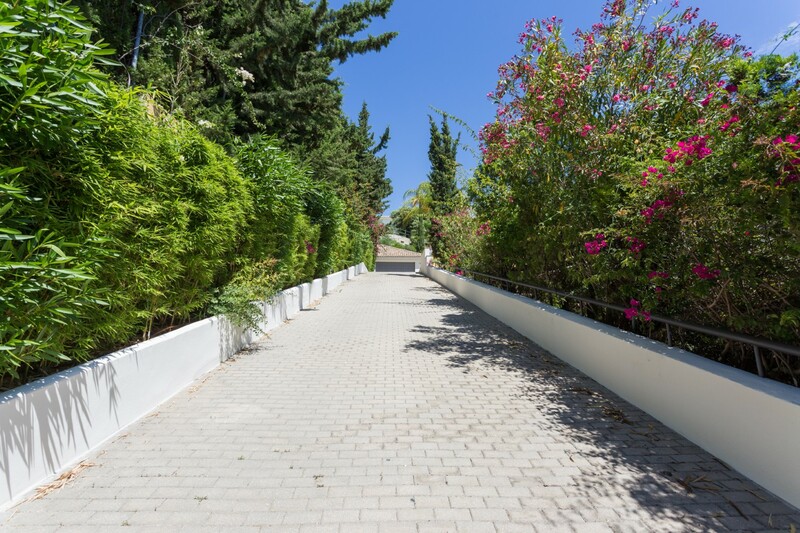 The area is well equipped with services, restaurants, supermarkets and entertainment facilities, and very close to the beach.